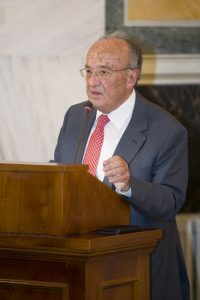 On May 16 a book presentation of Professor Apostolos Georgiades’ latest book “What is Law?” has taken place in the Academy of Athens. 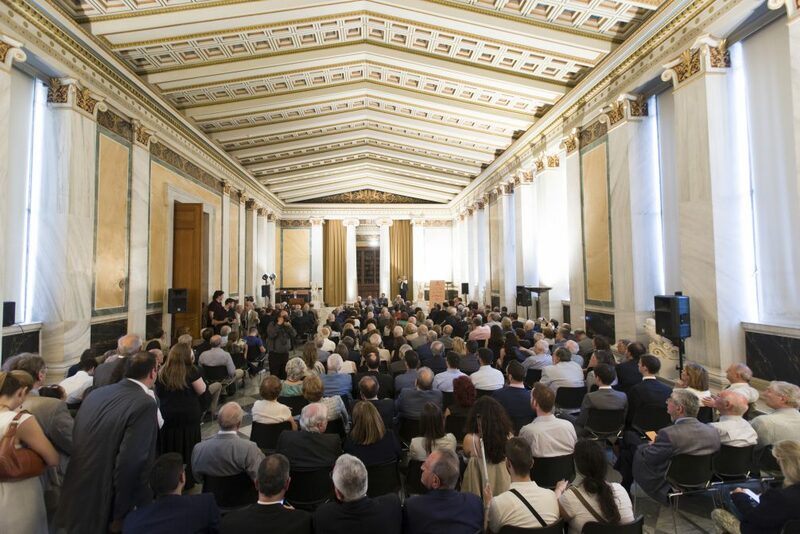 The speaker panel comprised of Thanasis Martinos, Ship-owner, Haralambos Moutshopoulos, Professor of Medicine, Irene Sharp, Vice president of Council of State, and Christos Chomenidis, Novelist. Journalist Ilias Kanellis has moderated the panel discussion. The speakers explained the importance for non-lawyers to be able to understand how the law regulates the society and praised the book author’s contribution toward that end. The hall was crowded with lawyers, judges, academics, politicians, bankers and entrepreneurs. Before closing Professor Georgiades has expressed his gratitude to the speakers for the very interesting presentations and to the audience for the big attendance. More details for the event may be found here.